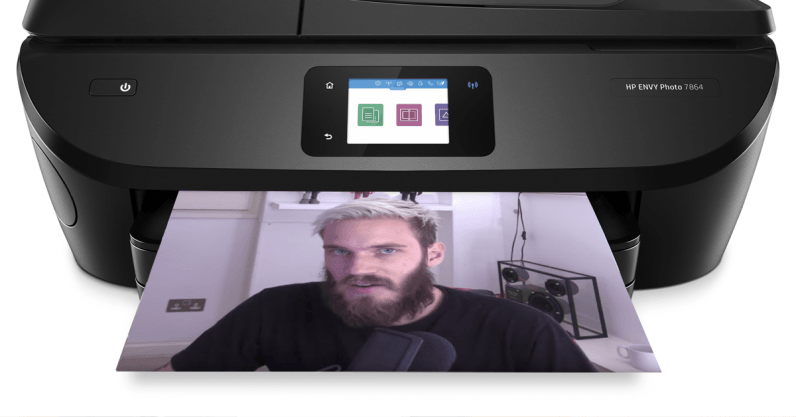 The battle for YouTube supremacy between Swedish vlogger PewDiePie and Indian record label T-Series is getting more intense than you could imagine: In order to give PewDiePie an edge, someone hacked 50,000 printers around the world to ask people to subscribe to the Swede’s channel, and unsubscribe from T-Series. A person, who goes by the pseudonym TheHackerGiraffe, found a repository of 800,000 open printers on Shodan.io – a search engine to find out devices connected to the internet. He took over 50,000 of them and sent out a command to print his message. As if that wasn’t scary enough, he said that it just took him 30 minutes to learn, code, and take control of the printers. “People underestimate how easy a malicious hacker could have used a vulnerability like this to cause major havoc,” TheHackerGiraffe told The Verge. “Hackers could have stolen files, installed malware, caused physical damage to the printers and even use the printer as a foothold into the inner network. At the time of writing, both PewDiePie and T-Series had breached the mark of 73 million subscribers. It’s hard to say if this war will come to an end soon – it’d require either channel to gain a major lead over its rival so they’re millions of subscribers apart. May the best entertainment franchise win. Stay up to date on the latest tech news, follow TNW on Flipboard, Twitter, and Instagram.